Consumer expert Áine Carroll on what you should know about the returns process. KNOWING YOUR RIGHTS when shopping can be a tricky world to navigate, and when things go wrong, it’s hard to know what you’re entitled to. A well-known Irish retailer is refusing to let me return something I bought three weeks ago. What are my options? If you change your mind about something you bought, under consumer law you’re not entitled to bring it back – it is completely up to store policy whether they allow you to do this or not. This means that in practice, if you’re returning an item for any other reason than it turning out to be faulty, shops can offer exchanges or store credit or maybe nothing at all. During sales the shop may reduce its time frame for accepting returns. “It’s very important that you check a store’s return policy before you buy”, says Carroll, who reminds that it’ll also usually be listed on the receipt. What you need to do is “go back to the business and tell them what you want.” Importantly, you shouldn’t be charged for the cost of a repair, or any delivery charges if there is a cost involved in ordering you a replacement. If you’re returning something faulty, you can use your debit or credit card statement, original packaging or even the fact that it’s ‘own brand’ as proof of purchase. 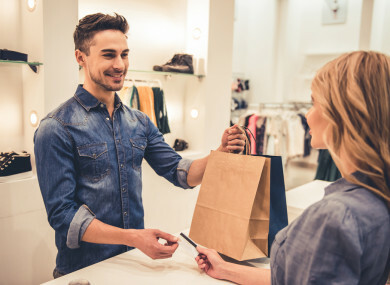 When it comes to pop-up shops, fortunately, “it doesn’t matter if the shop has been open for 50 years or five minutes – you still have the same rights as with a normal shop.” The most common thing that can happen here however, is that the shop ceases trading before you have a chance to return an item if it’s faulty. In this case, you have two options – firstly if it’s part of a larger shop for a particular season or event, or attached to another retailer, you can go back to the larger retailer and return it there. If this isn’t possible, you can potentially try to contact your bank to arrange a ‘chargeback’ if you paid by debit or credit card – here’s how to do it. If you’re not sure of the difference between these, you’re not alone. Carroll says, “it’s very confusing as sometimes they’re used interchangeably.” Put simply, she explains that guarantees are usually free and say that the manufacturer will repair or replace the item if it breaks within a certain amount of time. Furniture and electronics often have these. Warranties are different in that you “usually have to pay for them – they’re offered during the sale.” They are similar to an insurance policy that protects against having to pay any repairs. Generally warranties last longer and may include additional perks. However Carroll reminds that if something goes wrong, you still have consumer rights, regardless of any warranty or guarantee – these don’t replace your consumer rights. A shop can’t accept returns on items if the hygiene strip has been removed, or if it’s something such as jewellery, underwear, swimwear or earphones that they can’t sell on. Read more: Two-thirds of you want to return a Christmas present. So what are your options? Email “'A well-known retailer won't let me return something, what are my options?'”. Feedback on “'A well-known retailer won't let me return something, what are my options? '”.